NEW PRICE! 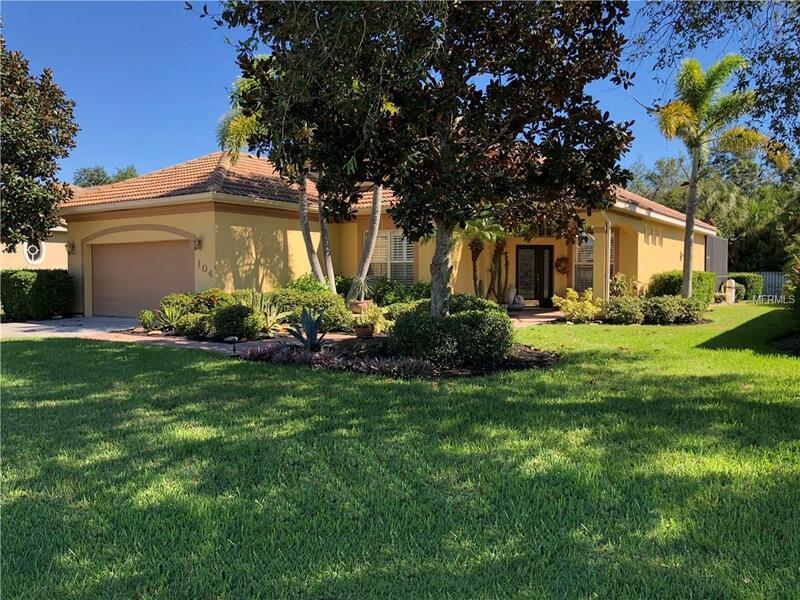 Impressive 3 Bedroom, 2 Bathroom home with attached 2 Car Garage located in the desirable community of Blue Heron Pond in Venice. NOT in a flood zone. 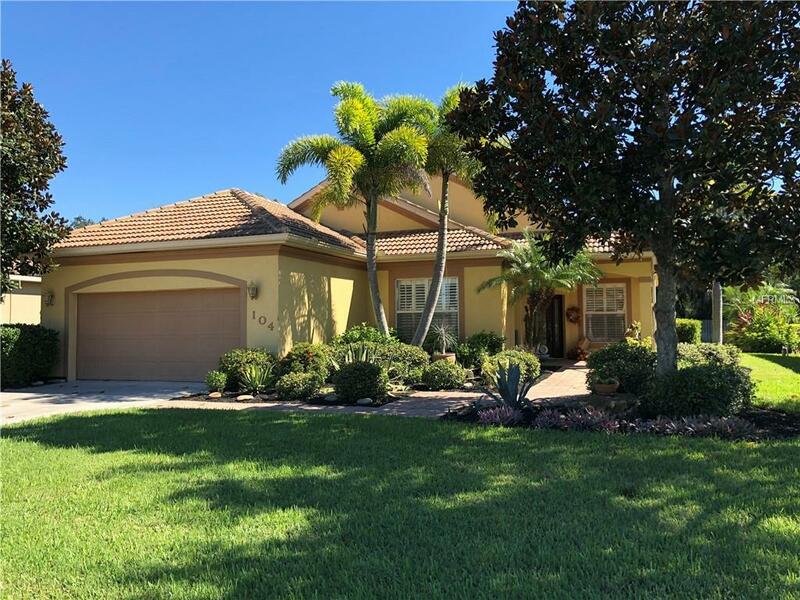 This spacious light and bright home offers an open and split bedroom floor plan with Great Room, separate Dining Room, Inside Laundry and well appointed eat in Kitchen. The Kitchen features wood cabinets, Corian counters, breakfast bar, closet pantry and large dining area overlooking the pool. The Inside Laundry offers a washer, dryer, cabinets and sink. The Great Room features built ins and a double tray ceiling. The spacious Master Bedroom suite offers TWO walk in closets and private bathroom with garden tub, walk in shower and dual sinks. There are two additional large bedrooms with great closet space. The third bedroom is currently used as an office. The guest bathroom has a tub/shower combo. Your living space extends via sliding glass doors to the screened lanai and pool area. There is an inground pool with waterfall, covered lanai and open deck for sunbathing. Utilities are county water and sewer. Other features include plantation shutters, paver front walkway, lush tropical landscaping and hurricane windows per owner. 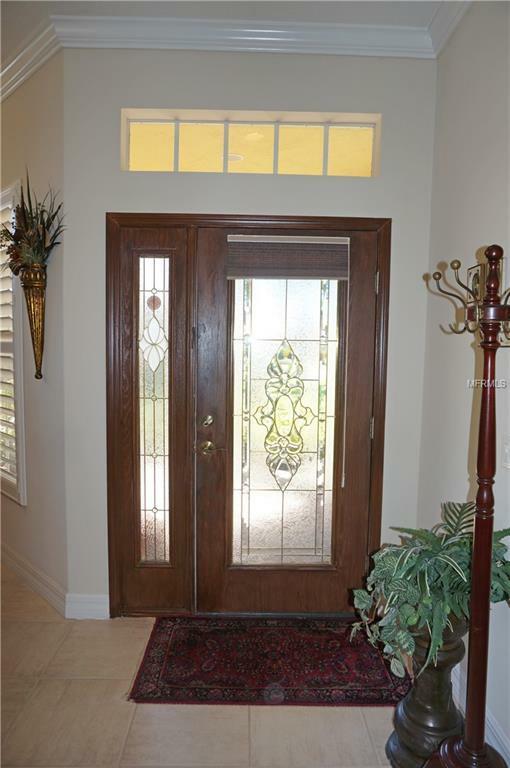 Tile flooring throughout the living areas and newer frise carpet in the bedrooms. 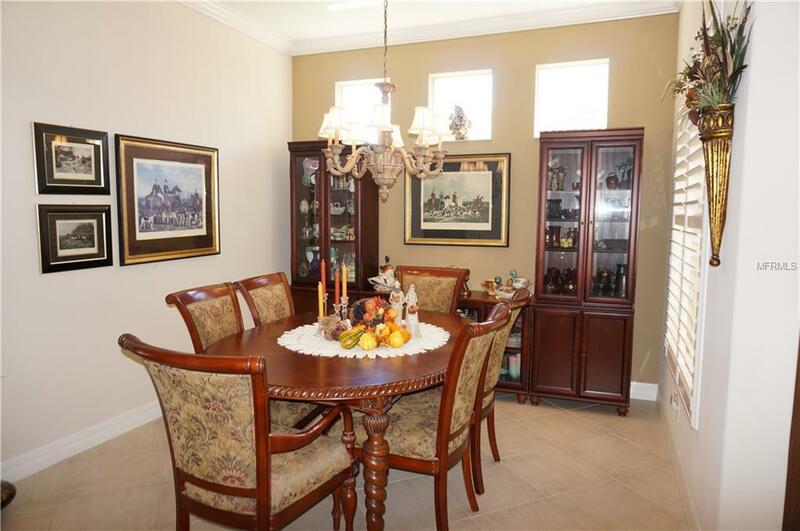 This home is beautifully decorated and well maintained. Pride of ownership is evident. Shows like a model!! Minutes from shopping, dining, I-75 and short drive to Golf and Gulf beaches. This is a beautiful home in a fabulous community.